THERE ARE A LOT of articles you can read online (you may have noticed), but you might want to give your eyes a rest every now and again. The good news is you can compile a list of articles and transfer them to your Kindle for later reading (if you have one). 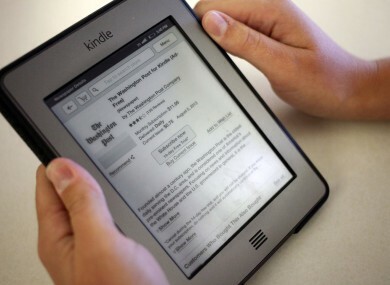 Reading something on a paperwhite screen is going to be easier when compared to a smartphone or laptop screen and it’s provided by Amazon itself. On browsers, the easiest option is if you’re using a browser as Amazon has a plugin designed for Chrome and Firefox. Once you install it and connect it to your Kindle profile, it will be available the next time you come across an article you want to read. For most articles, it will send as it is but it’s recommended you preview it first before you do. If it doesn’t display correctly, you can highlight the text you’re interested in or go into Reader Mode to bypass this. You could also hit select all (Ctrl + A) but this will likely include text from other segments like menus and links. If you want to read documents like PDFs for later and they’re text based, you can do the same by downloading the desktop app for PC, Mac, Android (from the Amazon App Store) or email. The same principle applies here, upload a file and it will transfer it to your Kindle. Naturally, you’re sacrificing a few things like interactivity and multimedia elements like photos and videos but you’re more interested in the text itself and you’ve amassed a collection of articles, then it’s a good alternative. Email “This is how you can send web articles to your Kindle for reading later”. Feedback on “This is how you can send web articles to your Kindle for reading later”.